Dana Davis has practiced yoga since 1984 and is a graduate of the 3-year Advanced Studies Program at the Yoga Room in Berkeley (a 500-hour program in the Iyengar tradition). She has studied Restorative Yoga with Judith Lasater, and is a certified “Relax and Renew” Trainer. She became certified by Elise Miller to teach Yoga for Scoliosis in 2013 and has found this work to be very helpful in teaching her students that have scoliosis. 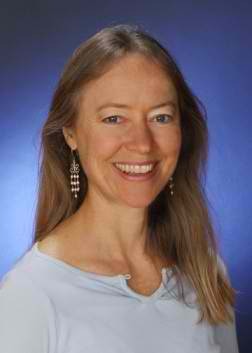 She has also completed advanced studies with Richard Miller, Ph.D., in Yoga Nidra/iRest. Dana is a Senior Certified Balance Teacher by the Balance Center in Palo Alto, California, where she has studied and worked with Jean Couch (author of The Runner’s Yoga Book) since 1996. She teaches the Balance Posture Method (based on Noelle Perez-Christiaens’ pioneering research on people without back pain from less industrialized countries). This work helped her change her very misaligned posture, relieve back pain and gain a whole new relationship to gravity. Dana’s studio, Sonoma Body Balance, is in Petaluma, CA, where she teaches Yoga for a Healthy Back and Restorative Yoga in addition to postural alignment. She has a B.A. in Psychology and an M.A. in Spirituality and was a professional Flamenco dancer for 7 years in San Francisco, performing twice in the San Francisco Ethnic Dance Festival.